Matrix is fantastic with flexibility for repeatable content. In a lot of sites Matrix is probably enough for content editors. However, as the web and design matures we are looking to do more things with our content. 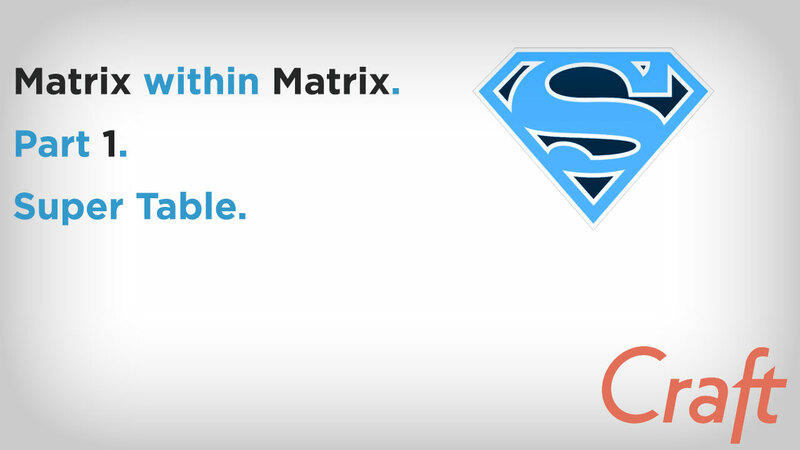 Matrix within Matrix is not possible natively with the built in Craft CMS Developers field types. Enter Super Table and Neo (coming in part 2). Both are completely free! With Super Table you can add repeating content within repeating content. You can use all the standard fields including relationships (entries), Commerce products, Users, Date, Radio buttons etc etc. I hope you can start to see some of the possibilities with Super Table and Craft CMS. The options and the flexibility it provides is something special.